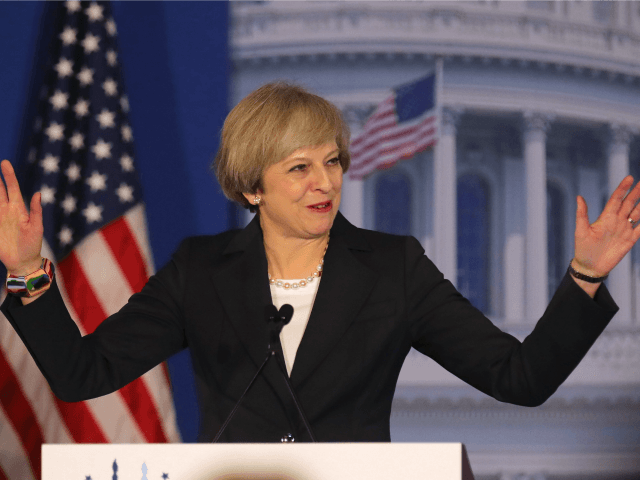 A new Gallup survey finds that 66 percent of Americans have a favorable view of British Prime Minister Theresa May. The poll shows that across nearly all major demographic groups, May – the leader of the British Conservative Party – enjoys a favorable rating. Among U.S. Republicans, 74 percent have a favorable view of May, while 65 percent of Democrats and 59 percent of Independents view the prime minister favorably as well. According to the poll, which is part of Gallup’s World Affairs survey conducted February 1-5, May earns favorable ratings from 66 percent of American men and 65 percent of American women. She is viewed favorably by 79 percent of those 65 and older in the U.S., 70 percent of those aged 50-64, 60 percent of those in the 30-49 age category, and by 56 percent of younger Americans aged 18-29. When education level is a factor, 73 percent of postgraduate Americans have a favorable view of the May, 67 percent of college graduates, and 60 percent of those who did not attend college. With less than a year in office, May’s image is more positive than her predecessor’s. Three years into his administration in September 2013, 49% of Americans viewed Cameron favorably and 10% unfavorably. A little over a year into Tony Blair’s administration, in December 1998, 58% of Americans viewed him favorably and 8% unfavorably. Blair’s favorable rating in the U.S. peaked at 78% in March 2003. Additionally, the survey notes that May’s high favorability ratings in the United States are seen as 91 percent of Americans hold favorable views of Great Britain. The poll was conducted with a random sample of 1,035 U.S. adults, aged 18 and older. The margin of error is ±4 percentage points at the 95% confidence level.